Are you still tired of typewriting? Are you still worried about many kinds of translations? Do not be afraid! AI Voice Assistant (hereinafter referred to as assistant) can help you to solve all of them. It is a high-quality product that integrates voice search, input and translation. 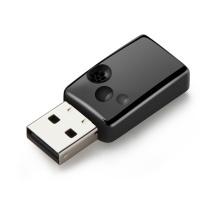 Simply plug this product into your computer&apos;s USB port to easily implement these three powerful functions. Voice Search: This device defines the left button of five-button mouse or Home button of the keyboard as the “Search Key”. Press and hold the left the search key and you only need to say the content you want to search for the assistant and then release the button, search engine will open and the search shows the relevant content you want. Voice Entry: This device defines the middle button of the mouse or the End button of the keyboard as “entry key”. Move the cursor to the place where you want to enter the text, hold down the entry key and say the content you want to enter to the assistant, release the button, and the words you say will be converted into text display. Voice Translation: Move the cursor to the place where you want to enter the text, hold down the wheel button of the mouse, speak to the assistant, and the target language you want to translate into text will be displayed. Lightweight, small and portable, easy to carry. It perfects for many occasions. It is not only a partner in your work, but also a friend in your life! It can only recognize Chinese(include Cantonese) and English. Its smart search can only be searched with Google browser. For Baidu, it is the default search engine if the source language is set to Chinese. For Google, it is the default search engine if the source language is set to English. For example, if you want to find information about "AI voice", you only need to say "AI voice", Baidu will find out the information related to AI voice. The voice search function is not affected by the position and status of cursor, and is not affected by the translation button and the target voice. The language used for voice entry must match the set source language and the Translate button is set to "OFF". The language used for speech translation needs to be the same as the set source language, and the translation button is set to "ON".